Home / UncategorizedBathroom design ideas!! A modern bathroom is sophisticated place for you to relax and unwind. 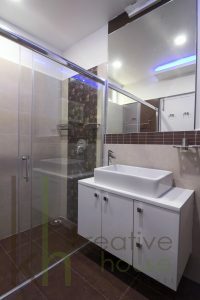 A quite sanctuary, modern bathrooms are equipped with sleek, high-tech sinks, showers and toilets. Modern bathrooms are highly functional and utilize every nook and cranny without looking cluttered. Faux leather: Chic In Interior Design! !